"When will winter end?" asked Bear. "Soon enough Bear, soon enough," replied his human. AW, he looks well loved! So sweet. :) So well-loved that he's real, like in the children's book, The Velveteen Rabbit. I like the quote, "Once you are real you can't be ugly at all, except to people who don't understand." 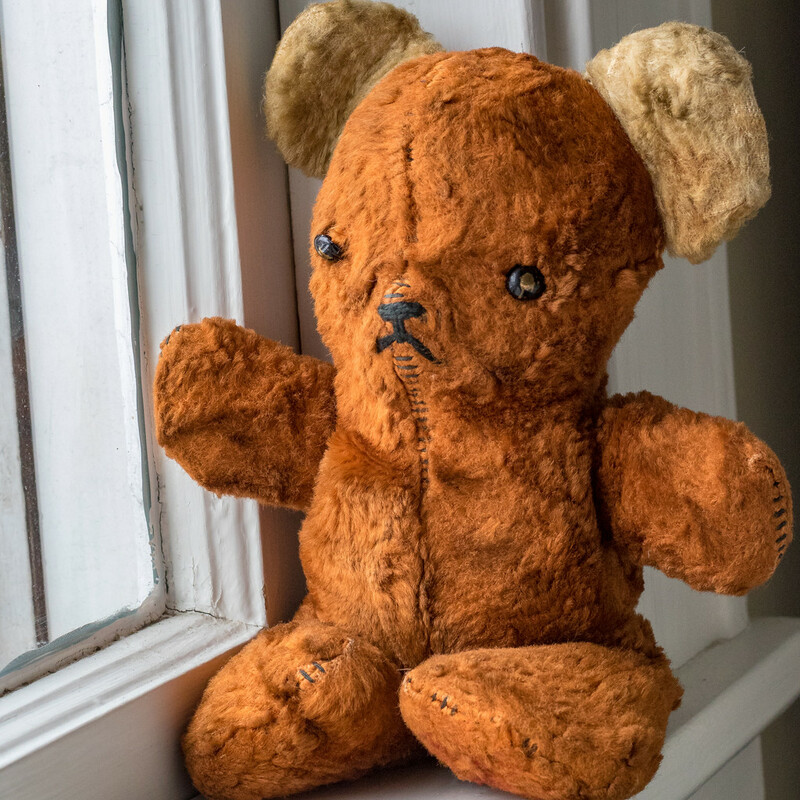 This looks like an antique bear! Cute capture! @elkereturns @sandrajo @karasoo2 @joysabin @fayefaye thanks for your comments! Faye, yes an antique bear. He wasn’t mine as a kid, but looks quite like one I had. Sandi, yes he is real - you can hear him talking or at least thinking. he does look fed up with winter...best not send him here then!